Get ready for a full day of sightseeing on the next day: see the interesting displays at Museo Historico de Culebra, then enjoy the sand and surf at Zoni Beach, and then kick back and relax at Tamarindo Beach. For reviews, photos, more things to do, and other tourist information, you can read our Culebra vacation planner . 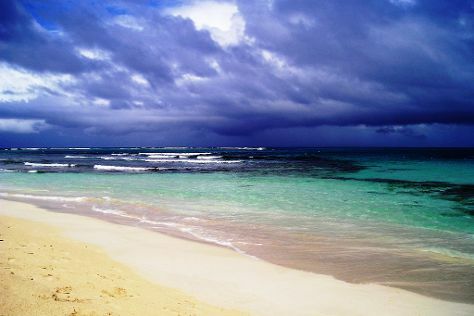 Tampa, USA to Culebra is an approximately 8.5-hour combination of bus and flight. You can also fly; or do a combination of flight, shuttle, and ferry. The time zone difference when traveling from Tampa to Culebra is 1 hour. Expect a bit warmer evenings in Culebra when traveling from Tampa in May, with lows around 77°F. Cap off your sightseeing on the 25th (Sat) early enough to catch the flight to San Juan. Start off your visit on the 26th (Sun): brush up on your knowledge of spirits at Casa BACARDI Puerto Rico and then enjoy the sand and surf at Condado Beach. For photos, reviews, more things to do, and more tourist information, use the San Juan day trip tool . San Juan is just a stone's throw from Culebra. 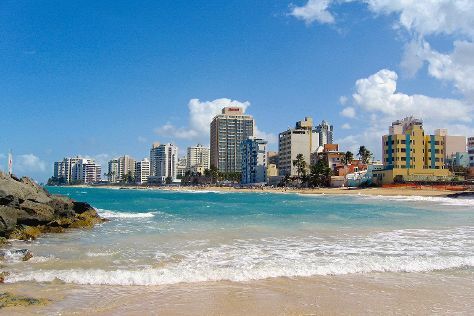 In May in San Juan, expect temperatures between 88°F during the day and 76°F at night. Cap off your sightseeing on the 26th (Sun) early enough to travel back home.